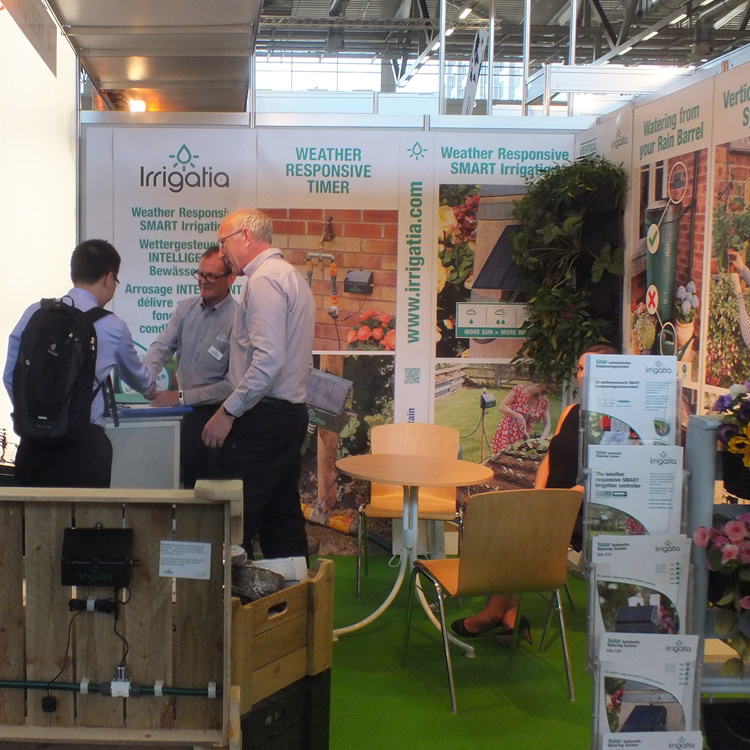 spoga+gafa covers all aspects of practical and leisure gardening. It is divided into the following product sectors: garden living (garden furniture, decoration, garden equipment, sports & games, camping & leisure), garden creation & care (plants & flowers, bio-chemistry & soils, machines & accessories, tools & accessories, garden equipment & sheds, water & lights), garden bbq (grills & barbecues) and garden unique (exclusive presentations in the outdoor living sector). There is also a spoga horse show for the equestrian sector which runs alongside spoga+gafa. 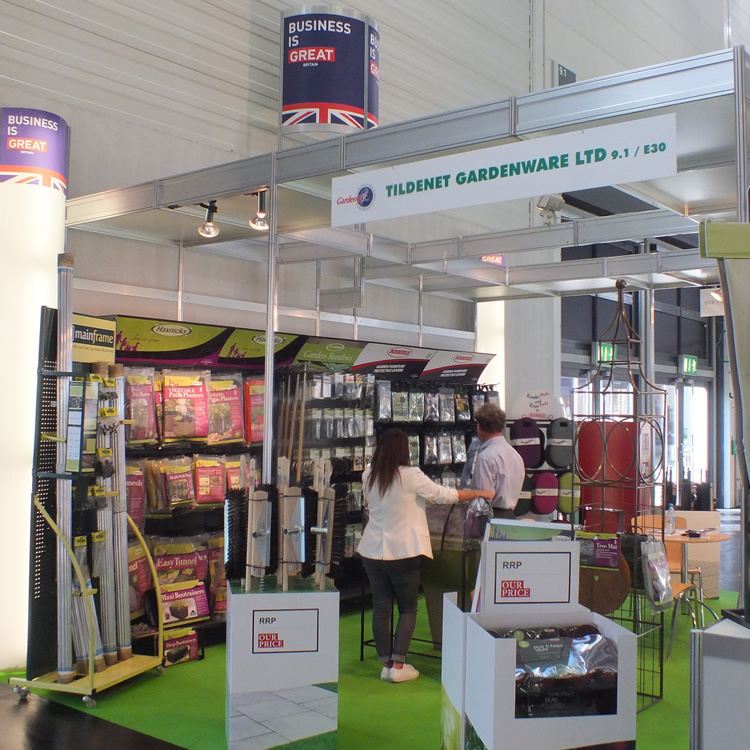 Germany is by far the largest market for garden products in Europe, with sales of around €18.5 billion. 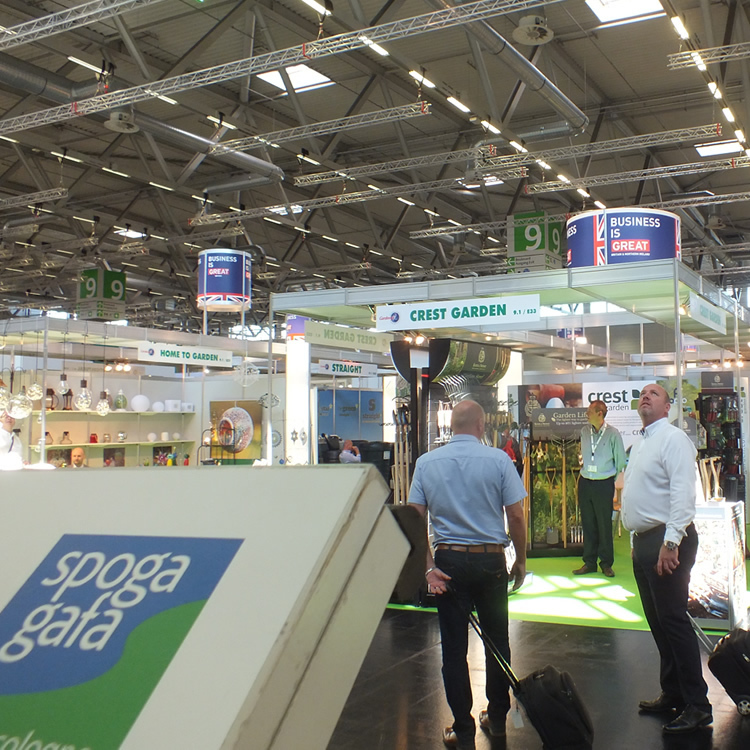 Buyers, though, visit spoga+gafa not just from Germany but from countries around the world. Last year British group exhibitors saw buyers from across Europe as well as leading distributors and retailers from markets such as the USA, Canada, Dubai, Israel, Japan, South Korea, New Zealand and Australia – along with some of the leading players from the UK. 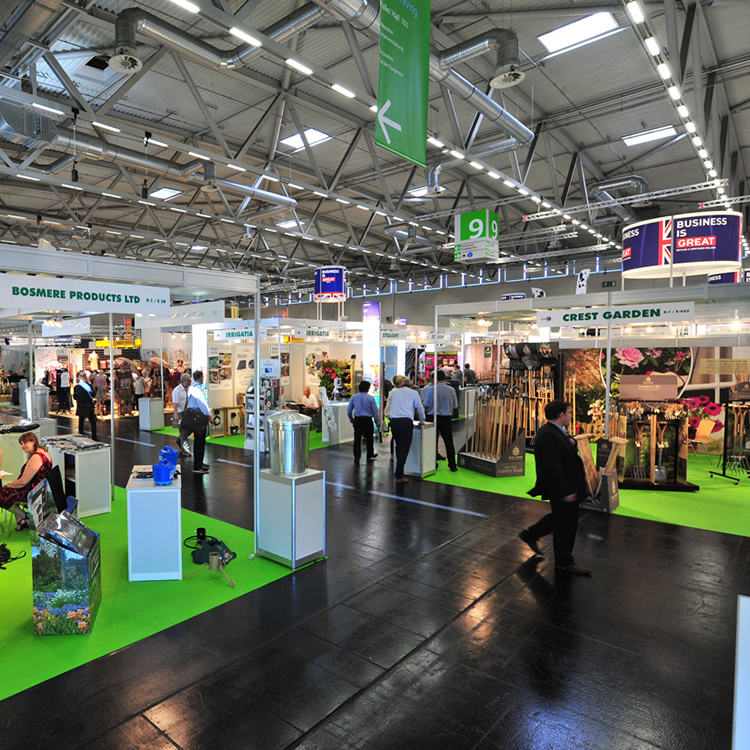 The show attracts a broad spectrum of buyers, including independent garden centres, DIY and garden centre chains, mail-order and online businesses, super and hypermarket groups, discounters, department stores and specialist furniture retailers, landscapers and many international distributors and wholesalers of garden products that support the retail and contract trade worldwide. 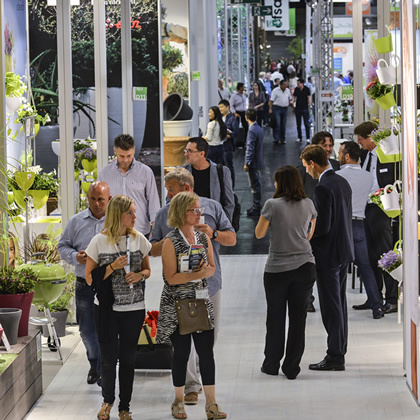 For more information about exhibiting at spoga+gafa 2019, please contact Theresa Swann, Head of Events & Administration at Gardenex, on telephone: 01959 565995 or by email, and take a look at the spoga+gafa website. Our 6th year at spoga+gafa and one of the best! A prime location for the British pavilion in hall 9 and individual stands in other halls for specific product groups. The minimum stand size is 12m². Larger stand options are also available. 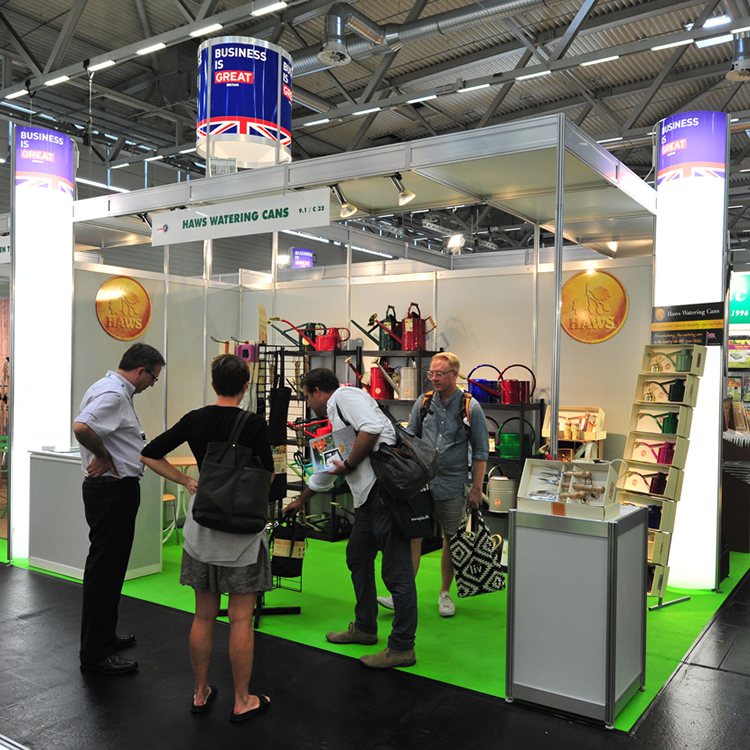 A comprehensive British themed pavilion and stand package, designed so that you can just turn up and display products. Package includes walls, carpet, lighting, electrical connection and a power point, fascia with name, table, chairs, shelves, counter and stand cleaning. Help with freight, travel & accommodation and other logistics from Gardenex’s dedicated event organisers. Advice and information about how to prepare for, and how to maximise, your presence at the show. Background market information and exporting advice for Gardenex members. 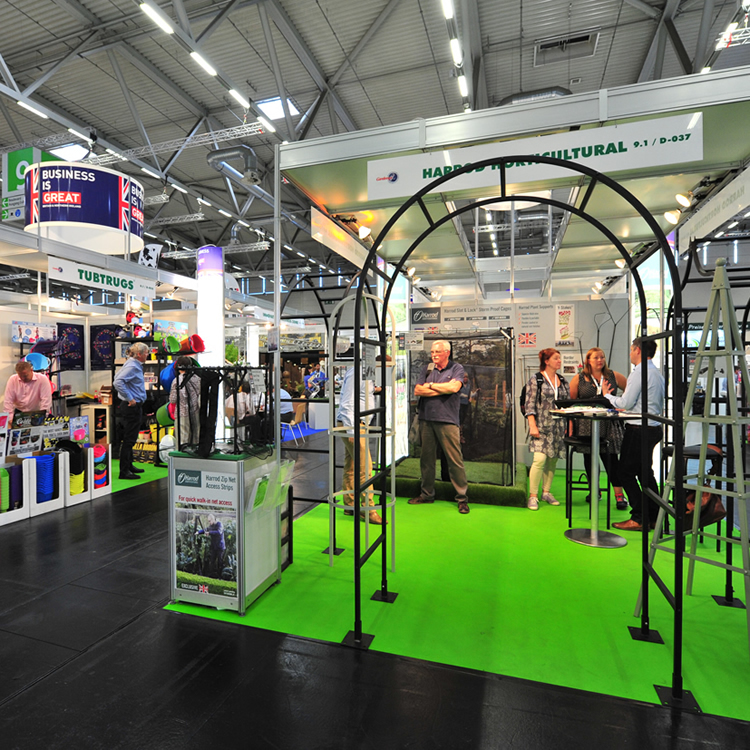 The support at the show of an industry information stand, organised by Gardenex and manned by its experienced team. A schedule of press releases before, during and after the show, to publicise the goods and services of the British group participants. A preview sent out to named buyers across Europe in advance of the show to generate advance publicity for the group. We met with key buyers we would not otherwise have had access to. The table below shows costs and examples for a variety of stand sizes. The pricing incorporates costs as quoted by the organisers for space, auma fees, lump energy and other mandatory charges imposed by them as described, and an estimated amount for the stand package whilst quotations are sought. The fee includes support as outlined in the Exhibitor Package tab and is designed to simplify the process of exhibiting, help you prepare for and make the most of the show, promote the British group presence and to make your exhibiting experience as smooth and trouble-free as possible. Please note: Space is limited; book quickly to secure and benefit from early bird rates! Bookings received by Thursday 18 April should benefit from a 5% discount off the Gardenex stand package / space only costs. But this offer is only available until a maximum of 350m2 has been committed! (the latter being entirely subject to your budget) Around £900 per head could be budgeted for a reasonable hotel and budget airline seat. Out Friday 30 August, back Wednesday 4 September gives you a clear day to dress your stand. Direct flights to Cologne run from Stansted (Ryanair/ Eurowings) and Heathrow (Eurowings). Alternatively direct flights to Düsseldorf are available (train journey to Cologne max 1 hour). Eurowings from Stansted to Cologne costs less than £100 at the time of publishing. Hotel prices vary greatly; a budget of £160 per night should secure a reasonable central 3 star hotel. Further advice on request. Interpreters £170 – £250+ per day An interpreter will be based on the Gardenex stand for the shared use of all British group exhibitors. We advise you, though, to arrange your own dedicated interpreter if your team does not have language skills. Getting your display / goods to the show Budgeting for this is difficult due to Brexit but we suggest allowing around £360-£400 for a 1.5m³ pallet from a UK warehouse to show site, storage and return. Exhibitors might consider driving goods to Cologne which is a relatively easy option as full access to the halls is available during set-up and break-down (please note that this can be subject to restricted times and fees). Alternatively, details of suggested specialist exhibition freight forwarders will be provided. (approx £395) Basic show catalogue and website entries are included in the mandatory Marketing Services Package. Options to enhance with logos, more products etc will be circulated. Additional display equipment Subject to needs and budget. 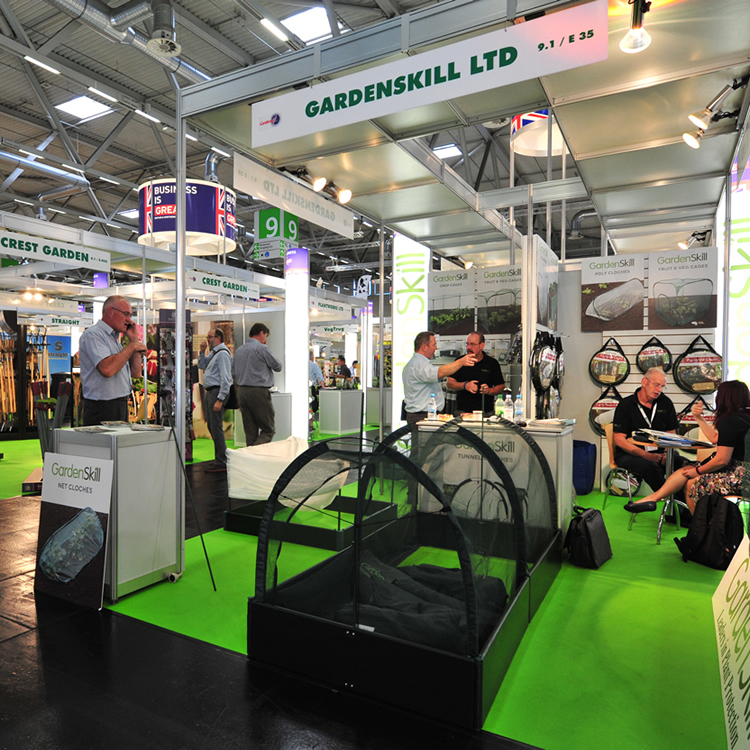 The Gardenex stand package is comprehensive so there should be limited need for extras but options will be offered. All costs based on exchange rate £1=€1.14 which may alter and impact either way. They do not include local taxes which may apply to some or all factors. All costs must be paid upfront whereas grants are paid retrospectively, subject to compliance. 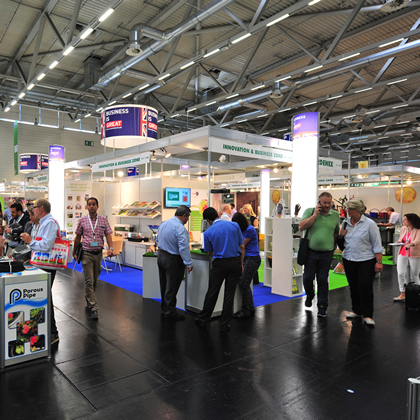 ♣ Some mandatory costs are imposed by Koelnmesse and apply to all exhibitors. These include the Marketing Services Package. 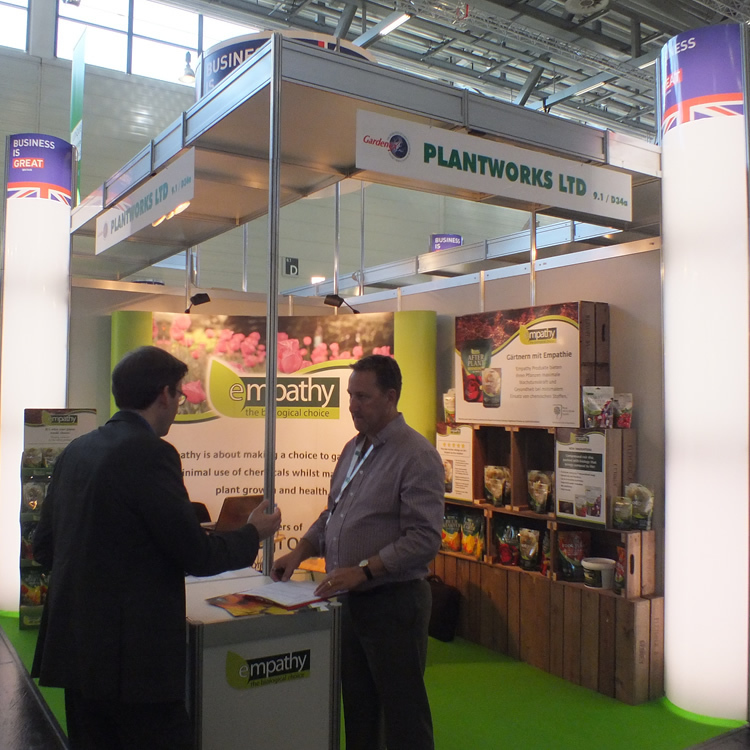 It is preferred that exhibitors on the British pavilion take advantage of the Gardenex stand package. Whilst unlikely to vary significantly beyond costs outlined, final costs for the Gardenex stand package will be notified to exhibitors in due course. Department for International Trade (DIT) grants of £1,500 to help offset the cost of a stand are available for eligible British exhibitors. Eligibility criteria have changed slightly for 2019; SME exporters of less than 10 years with a turnover of between £83,000 and £5 million are given priority. All costs must be paid upfront whereas grants are paid retrospectively, subject to exhibitors’ compliance with DIT requirements. Please contact Theresa Swann, Head of Events & Administration at Gardenex, by email or on 01959 565995 if you would like to discuss your potential eligibility for funding. Complete the online stand booking application form below. We will then invoice you for the Gardenex exhibitor support package fee (£485+VAT for members, £675+VAT for non-members) which must be paid before we can process your application further. Exhibitors wishing to apply for Department for International Trade funding will be sent a funding application form and terms and conditions. Ultimately you will need to submit a Koelnmesse space application form which will be sent in due course. On behalf of the business named above, I confirm that the information on this application form is true and accurate. I understand that the commitment to exhibit is being made regardless of any DIT funding which will be dealt with completely separately. I have clicked on the link below, read the terms and conditions, agree to fully comply and accept that if the business named above is indebted to Gardenex when any potential grant payment is due, Gardenex will deduct any debt before paying the grant. This form must be completed by a director, company secretary or owner of the business applying. Please return this form by Thursday 18 April. We will issue written acceptance of your booking, at which point a contract will exist between both parties. 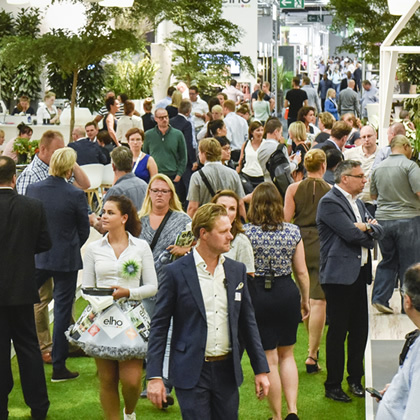 An invoice for the non-refundable Gardenex exhibitor support package fee will be issued and must be settled in accordance with our terms and conditions. Credit cards are accepted.